Home » Hyomin » Pictures » T-Ara » T-ara's HyoMin posed with her goodies from their offical 'T-ara-Holic' App! 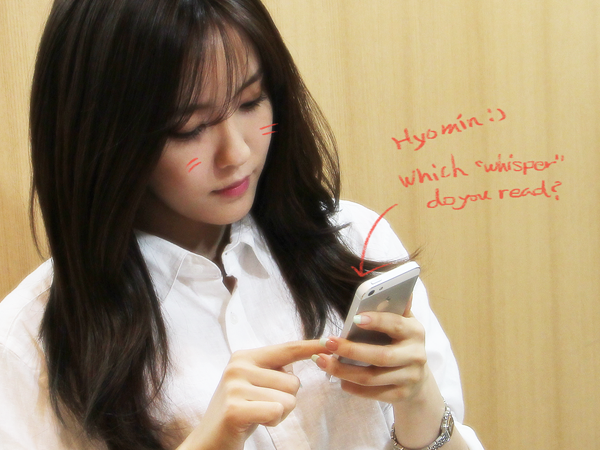 T-ara's HyoMin posed with her goodies from their offical 'T-ara-Holic' App! Prepare for some more goodies as T-ara's official application, 'Tara-Holic', has received an update! They have added the 'Goods Store' to the application, and they are opening it with Hyomin's designed t-shirts. The t-shirts were only limited to 300 pieces though, so open your App, or download it here, to see if you can still buy some. If not, we can just hope for them to re-stock, and check out Hyomin's gorgeous photos first.